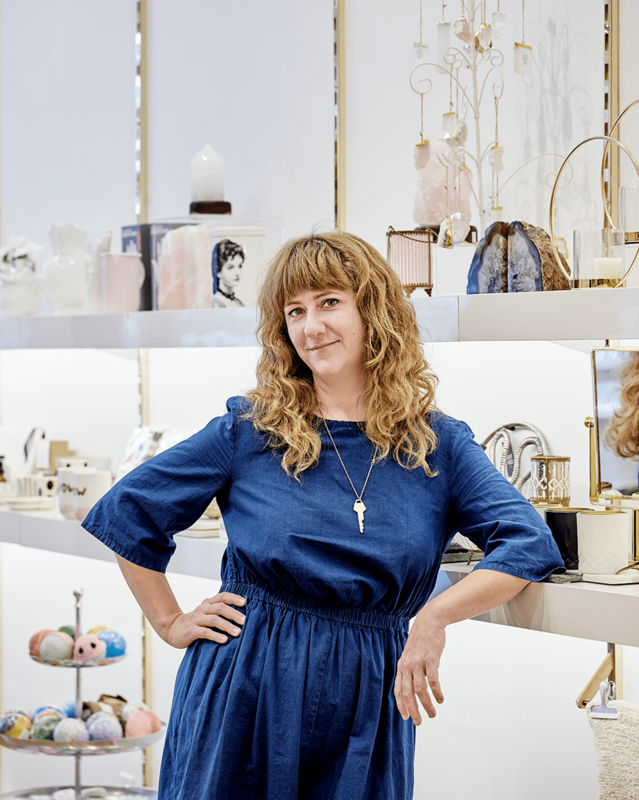 Back in 2014, Nicole Babin and her husband, Stefan Powell, first opened the doors of Token, a quaint gift shop neighbouring their vintage fashion boutique, Common Sort. After years of being a mainstay in Toronto’s Riverdale community, they recently jumped over to 777 Queen St. E., an exquisite location they share with the folks from Tiny Record Shop (our fave TO record store). With a focus on reducing plastic and selling products that will LAST (that is, things that won’t end up in the trash), Token has moved in just in time for the holidays. 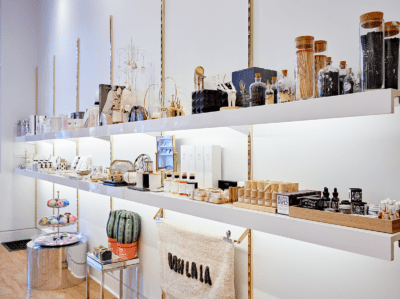 Wandering around their new space, you’ll find a vast selection of well-designed, useful gifts, as well as personal beauty and household products, with an emphasis on waste-free. We caught up with Nicole this week to find out more. SDTC: Your commitment to the environment is obvious in both your businesses, Common Sort and Token. Can you share with us a little about when/how you first became a conscious consumer? NB: I have been passionate about the environment since high school. While researching for a project on Clayoquot Sound, as protestors were getting arrested, I was busy educating my fellow classmates on what was going on there. In my early twenties, I started my career path to becoming a photographer, which coincided with my interest in being active for social justice. 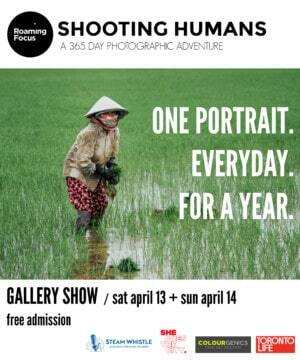 I started attending protests, photographing them, and interning at an organization called Global Aware. Along with my brother, we made the trip to Quebec City for the protests against the FTAA. We were tear-gassed and shot at with rubber bullets. Now, working in fashion and retail, these experiences have stayed with me, and it’s important for me to do my small part in making the world a better place. Obviously, vintage and preloved fashion is the opposite of fast fashion, but how does sustainability play a role at Token in terms of what lines the shelves, the products and brands you stand behind? I think the most sustainable thing about Token is that we are continuously doing what we can to limit how much plastic we carry. We are not all the way there yet; many items still have some plastic in their packaging. But we have made a choice not to purchase items made of plastic. Furthermore, we only carry gifts that last. Instead of landing in the trash, quality gifts can be passed on to other people when one person is done with it—gifts that are useful and serve a purpose. And we work with wholesalers that share the same goals as we do. Was their a book, news report, or anything in particular that inspired the #ZeroWaste program you’ve initiated? I try to think of what we do as less-waste. It’s a lot of pressure to go zero-waste, so people give up. Making small changes in how you do things will make a difference. [Reading] essays by Hillary Predko and following Instagram accounts by people like YourEcoFriend are very helpful for ideas on why and how to make changes in your everyday life. What has been the most rewarding thing for you, as someone who is actively trying to incorporate values about protecting the earth into practice? What discoveries have you made in your journey that have enhanced your life? I come from a family of hoarders; my mom, dad, sister and brother—all of them. The accumulation of stuff was always on my mind and in my way. Now my mother thinks twice about buying a useless plastic knick knack, and this has been a very rewarding experience for me. It takes a lot to change our habits. I enjoy seeing the change in attitude among the wider population. People get it now and don’t want the waste. We all need to be responsible for the things we take home. What are the easiest ways to make small shifts with a big impact? The best thing my husband, Stefan, and I did to make a change for the better was to get amazing coffee mugs and water bottles that we carry with us every day. I found Zojirushi coffee mugs and read great reviews of them and needed to sell them at Token. Not buying a coffee cup every single day has been rewarding. It feels good every time I get it filled. The next best thing we did was work on our pantry. Using inherited vintage glass jars and taking them to a bulk store to fill has cut down on our packaging dramatically. We now get almost all of our food this way. We also do a Mama Earth box to get fresh, local produce, milk and eggs. What are some cute ways that we can shop at Common Sort for the holidays/appropriate second-hand gift ideas? Holiday shopping at Common Sort starts with the many outfits you will need for all the parties, events, and get-togethers that happen. With gifting, buying used items as gifts is TOTALLY FINE. When you see that purse or jacket you think would look great on someone, get it for them! Times are changing, second-hand gifts are more and more the acceptable, and respectably sustainable, way of shopping. Wrap your gift in a vintage scarf! We also carry some new products for gifting if second-hand doesn’t do it for you. We carry a few Canadian jewellery lines including one of our favourites, Lover’s Tempo. And cute and cozy socks by Lemon that are always an appreciated gift. What are the top sellers at Token that customers are loving as gifts? Top selling gifts at Token: our alcohol infusers by Ethan + Ashe are incredible. I infused bourbon with cinnamon and green apple and it’s delish. Next I am going to infuse vodka with raspberries! We sell a lot of dream catchers by Native-owned Monague Crafts, they employ stay-at-home mothers to make their product so they can work from home while taking care of their little ones. I also love our new line of products by Forest and Waves from Vancouver. What goal, personal or professional, is on your mind for 2019? Our goal with Token in the new year is to work more with vendors trying to make a positive impact on the planet. At the same time, educating the vendors we already work with on how they can be better at what they do. With Common Sort, we will be launching our new credit system. We are migrating from slips of paper to a new custom system that keeps track of everyone’s trade. I have been very busy entering all the old trade slips from the last ten years, as we are going to honour ALL the old unused trade! Up until last year, trades were only good for one year, as we had an antiquated system not capable of handling it all. Anyone that knows how it works will understand how necessary this is. We will eventually have a mobile app too, which is so exciting. Personal goal: I hope to be able to speak French very soon. I’ve been taking lessons for two years and cannot wait to be able to speak to my French side of the family, in FRENCH! 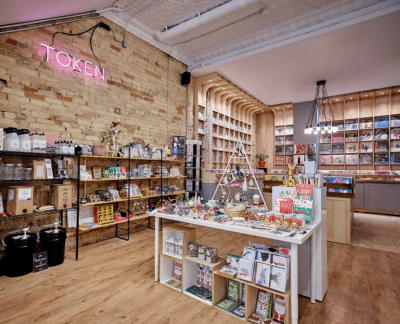 With eco-friendly gifts and well-curated vinyl all in the same space, 777 Queen St. E. is the best bet for your holiday shopping and beyond!